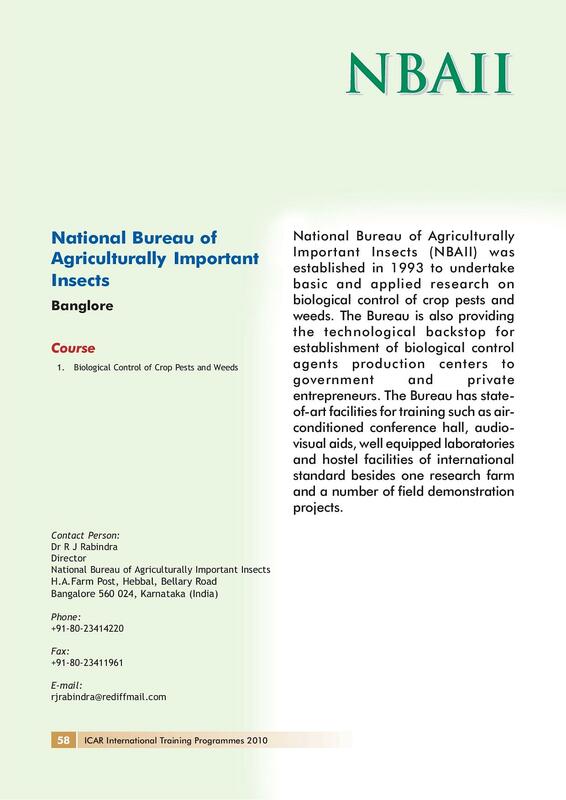 National Bureau of Agricultural Insect Resources (NBAIR), formerly known as National Bureau of Agriculturally Important Insects is located in Bangalore. It is the only institute in the country that is solely involved in the collection, cataloging and conservation of insects and related organisms of importance like mites, spiders and microbes/ nematodes associated with arthropods from the agro ecosystems of our Country. It acts as a nodal agency for collection, characterization, documentation, conservation, exchange and utilization of agriculturally important insect resources for sustainable agriculture. Why to join National Bureau of Agriculturally Important Insects? Awards and Achievements :Won Best Innovative Scientist Award (state) in 2011 by Andhra Pradesh Farmers Federation, Chittor. The college won Pedda Reddy Thimma Reddy Cash Award for Integrated Pest Management in Mango in 1997 by PRTR Trust, Hyderabad. The college won Award of Excellence in Scientific Category – IIHR in 2012. 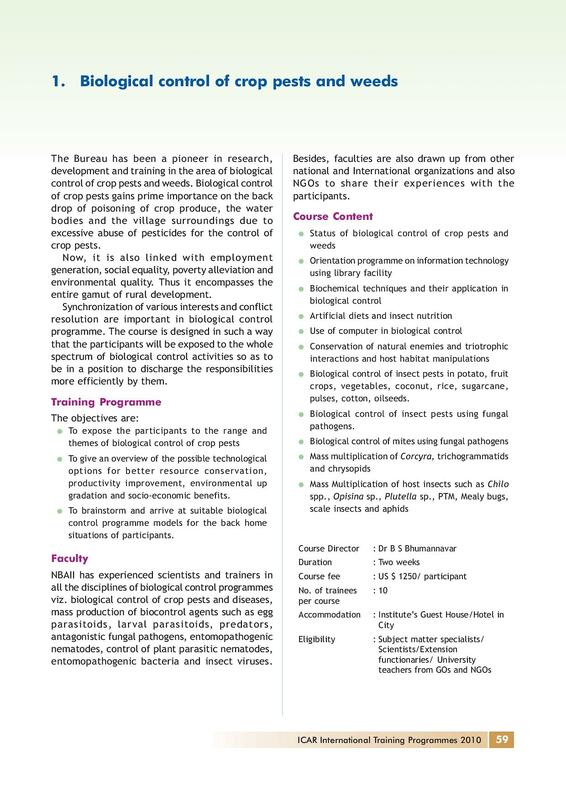 Experienced Scientists: The College has well experienced Scientists and trainers in all disciplines of biological control programs. Research farms in the campus :The college has research farm and number of field demonstration projects.